It has been identified as Queen Katherine Parr for centuries. Thanks to modern technology used to examine the portrait by the NPG in London, it has been concluded that the portrait is indeed that of wife no.1, Queen Katherine of Aragon. The 1520s — Katherine’s mother was still negotiating for a marriage. In 1529, she was married to Sir Edward Borough, son of Sir Thomas, 3rd Baron Borough of Gainsborough (Lord Chamberlain to Queen Anne Boleyn). The status wouldn’t have made her that important enough to paint. However, the 3rd Barons wife, Agnes Tyrwhitt had her portrait done by Holbein. Sir Thomas, however, had to pull his connections just to get his wife, Lady Borough, painted by Holbein. (Porter pg 55) By 1533, Katherine was a widow. Her next marriage to Lord Latimer took place in 1534 and it lasted until 1543. The hood was most likely outdated by the 1530s, but Katherine had not been living at court so perhaps she did not know the current fashions. 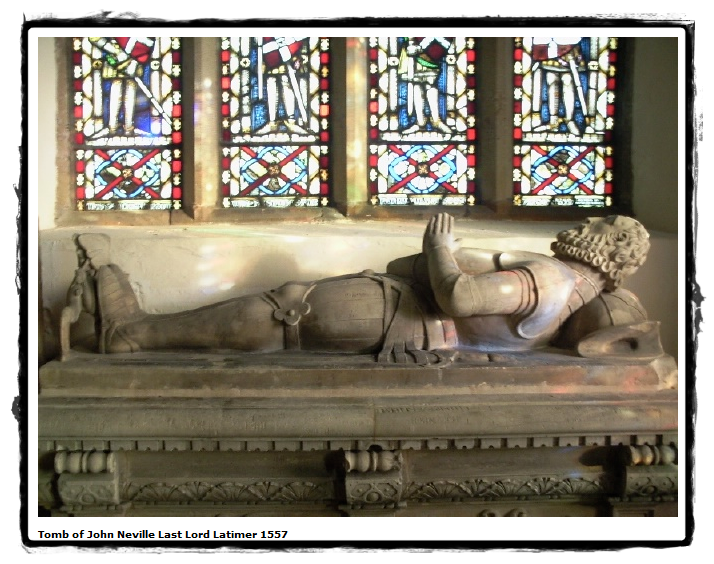 Her home from 1529-1534 was spent in the Northern part of England; Lincolnshire. After her marriage to Sir John Neville, 3rd Lord Latimer her home was Snape Castle, in North Yorkshire. Her mother and sister would have been at court. 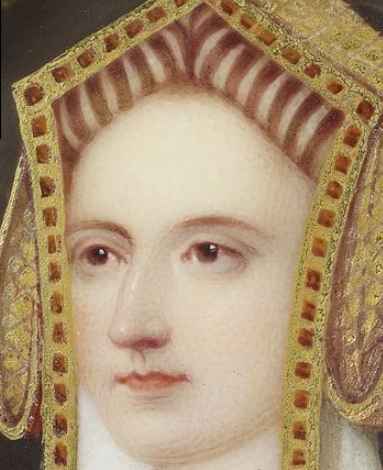 Her mother served Katherine of Aragon until her household was dissolved. 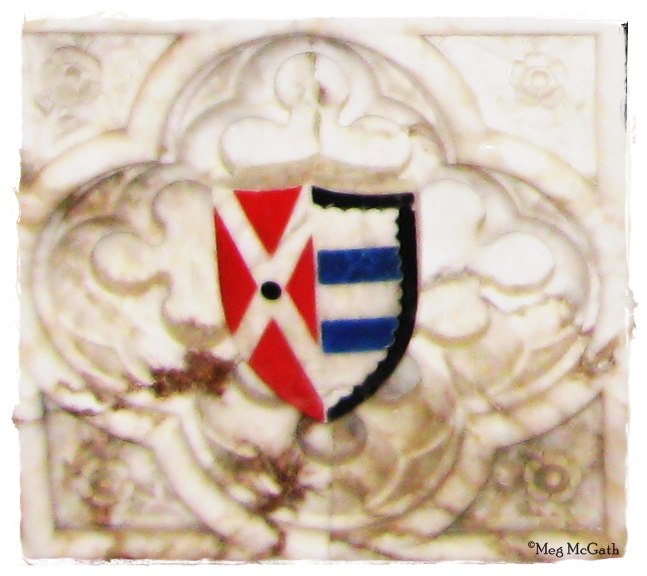 Her sister, Anne, would continue to serve under Queen Anne Boleyn. The two sisters were close so perhaps Anne wrote about the current fashions at court; Katherine was to become a fashionable queen so her interest must have developed early on. Therefore it is contradictory as to what Katherine actually wore. Lambeth Portrait of Katherine of Aragon. However, there is still more than a few portraits with Henry and his other wives that still use this depiction as Katherine Parr. 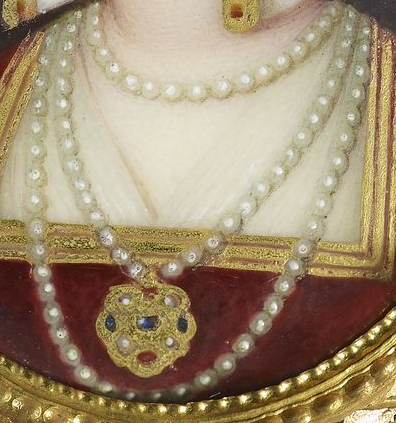 For example, the only miniature in the Royal Collection (from Queen Victoria’s miniature collection) that depicts Queen Katherine Parr is this same depiction. Hopefully they will not change the description now as there is no other depiction of Parr and all six wives are represented. ‘Portrait of a lady called Katherine Parr’, by Henry Pierce Bone, 1844. 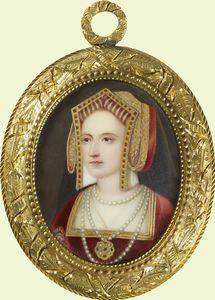 Enamel; 4.8 x 3.9cm.The miniature was purchased by Queen Victoria in 1844, to add to her growing collection of portraits of sixteenth-century figures. It is still part of the Royal Collection. In early 2011, after inquiring about the portrait, I was told (by email from the Lambeth Palace Library) that this had been re-identified as Katherine of Aragon. Lambeth Palace’s site had this image as Katherine Parr; the image was uploaded in 2008. The re-identification took place in 2009, but was not officially announced or re-identified until recently. The portrait you are inquiring about used to be referred to as the “Unknown Woman” thought to be Katherine Parr. However, in 2009 we had the National Portrait Gallery here to look at another painting in our possession. As we walked by the portrait a period costume expert, who so happened to be among them, took great notice in it and declared that the clothes were far too early to be Katherine Parr. The National Portrait Gallery took it away with them to research further. The conclusion was that it was in fact a rare survival of a Tudor portrait of Catherine of Aragon, not Katherine Parr as originally thought. You can imagine it was rather exciting for all concerned. Obviously they had not made the announcement official until now — due to years of research at the NPG. 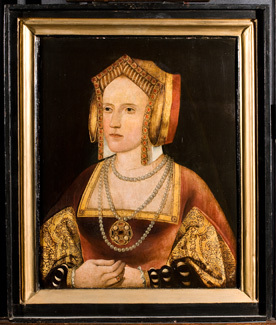 But as of 24 January 2013, this is now identified as Queen Katherine of Aragon. For details on the examination process and the conservation of the portrait — see links. 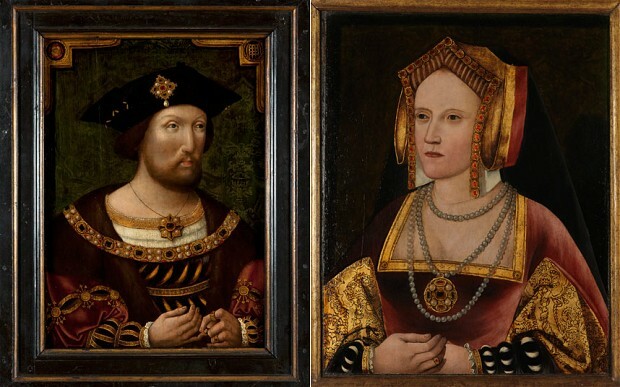 ‘Henry and Catherine Reunited’ – Conserving the portrait of Catherine of Aragon, National Portrait Gallery, London. Hannah Furness. “Tudor portrait re-identified after experts notice Henry VIII’s wife was wearing the wrong clothes,” The Telegraph Online. 24 January 2013.